WXXI’s latest documentary captures the journey of Jesse James of West Coast Choppers fame and world renowned sculpture artist Albert Paley as they collaborate to make two sculptures. Each artist starts one sculpture and finishes the other. The completed sculptures were unveiled at FABTECH 2017 in Chicago last fall. WXXI captures their journey, and the unveiling in an hour-long documentary. 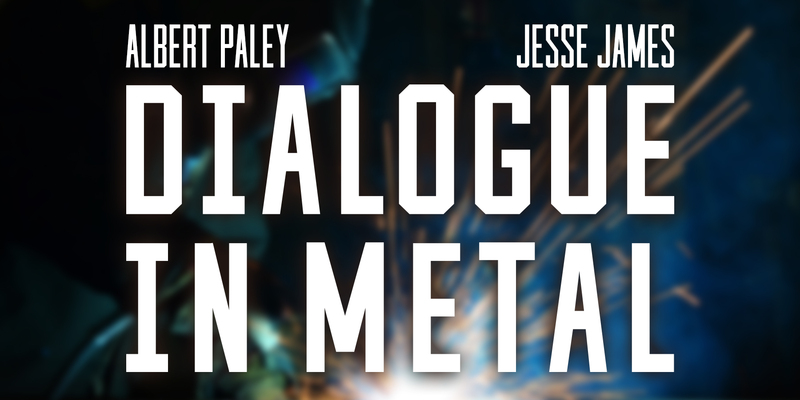 Join Jesse James of West Coast Choppers fame and world renowned sculpture artist Albert Paley at The Little Theatre for the premiere of Dialogue in Metal, followed by a Q&A with them. TWO SCREENINGS: 7 p.m. and 9:30 p.m. Tickets are $5 and can purchased at the Little box office online here.